RPET 2019: Board of Technical Education, Rajasthan will announce the Rajasthan Engineering Admission Process (REAP) 2019 for offering admissions to various Undergraduate Engineering Programmes in the Engineering Colleges of Rajasthan. Earlier, the Engineering Entrance Examination was conducted by the Board was known as Rajasthan Pre-Engineering Test (RPET). REAP was introduced in the year 2015. With the Introduction of REAP admission will be provided on the basis of Applicant’s performance in either JEE Main or class 12. The dates related to RPET are tentative. The updated information regarding the dates will be published as soon as the University release the Notification regarding all the events. The Minister of Higher Education and Technical Education said that 70% of seats of RPET would be for the Domicile of Rajasthan. 50% seats will be filled through Joint Entrance Exam JEE merit. Also, the Remaining 50% will be on the basis of class 12 merit. Apart from this 15% seats are vacant under Management quota by College Management. While remaining 15% of the seats are for the students of other states to fill. 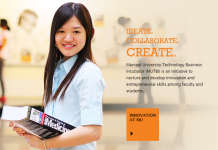 Merit list will be based on the percentile formula. The Rajasthan state government adopted this in 2014. Which puts RBSE and CBSE appearing students on one level. The meeting followed by the decision to scrap “RPET” and to replace it with REAP a better system started just after Bharatiya Janata Party came into power. Rajasthan States have 154 engineering colleges affiliated to RTU KOTA (Rajasthan Technical University) with a total intake of 60,000 seats in various Engineering Courses. The Number of students appeared in RPET reduced from 79.84% in 2009 to a very small percentage of 17.36% in 2014. The application form for the Rajasthan Pre-Engineering Test (RPET)-2019 will be available tentatively from the First week of March 2019. The RPET Application form will be issued by the Examination Authority through online mode only. Candidates can Fill the Application form by visiting the Official website. Fill in all the details required. Print a copy of the Application form. The RPET Application fee is Rs. 700/- for candidates of all categories. Domicile: Candidate must be Domicile of Rajasthan. Age: General or OBC category candidates must be born on or after 01 Oct 1989 while the those who are from ST/SC category should have born on or after 01 Oct 1984. 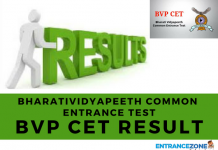 Qualification: Candidates must have passed class 12 or equivalent examination from the Recognised Board with at least 45% aggregate marks and for General category and 40% for Reserved category candidates. Subjects: The candidates appearing for the RPET 2019 should have subjects: Physics, Maths and as optional subjects like Biology, Chemistry, and Computer science in class 12. No separate Entrance Examination is conducted for REAP. 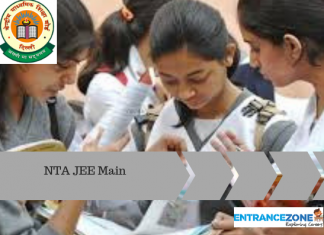 Admissions are done on the basis of class 12 and JEE Main scores. Note: 50% of seats under this category are reserved for Female candidates. 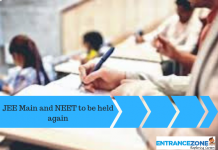 The Centre of Electronic Governance (CEG), Rajasthan will release the separate Merit list of JEE Main 2019 and Qualifying Exam (10+2) for REAP 2019. The REAP 2019 Merit list will be available to the candidates through online mode. For checking Merit list candidates can log in to their application form by entering their Login-id, Password and Date of birth. The merit list of REAP 2019 will vary for the different categories. Candidates must register to participate in the REAP 2019 counselling process. The counselling of REAP will be conducted separately for Rajasthan candidates and Outside Rajasthan candidates. The candidates belonging to the state of Rajasthan will have an advantage of upgradation movement, where they can upgrade their allotted seat. The upgradation will be done on the basis of options entered by the candidates and seats available at that particular point. Candidates can check their seat allotment of REAP 2019 by logging into the Application form portal by entering their login details. Candidates who have been allotted seat will be able to download their seat allotment letter which mandatory has to be presented at the time of counselling of REAP 2019. Candidate must also bring all the necessary original documents for the document verification process without which the seat will not be allotted. Candidates will have to produce these self-attested documents in original while reporting at the allotted Institution for Admission. Students Interested in Admission in Rajasthan Engineering Colleges Please Follow “REAP 2019” at Entrance zone for current updates. 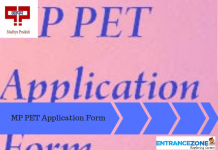 rpet official website, rpet 2019 application form, ptet 2019, rpet application form 2018, rpet official website 2018, rpet colleges.